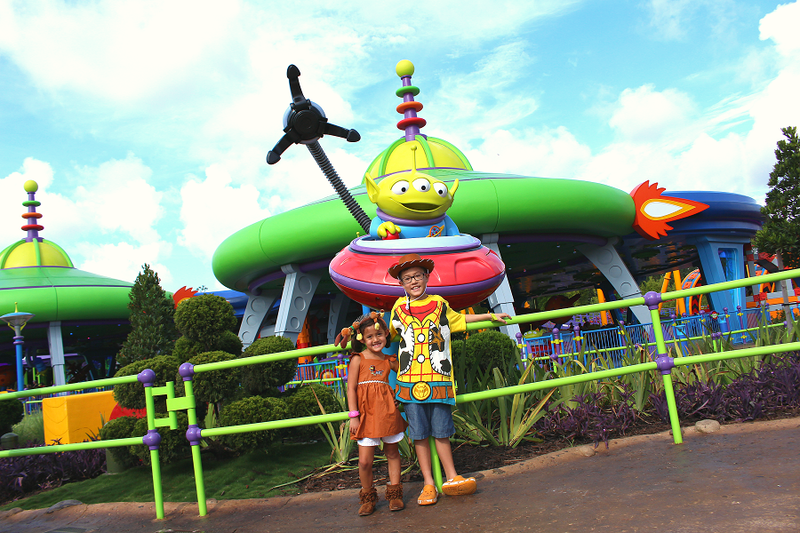 Taking the kids to Toy Story Land? 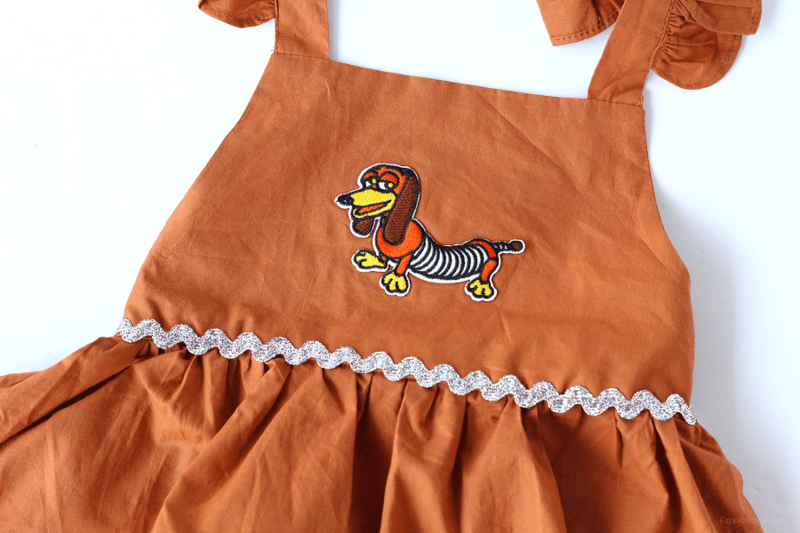 Make your own Easy Slinky Dog Dress DIY for your little girl – no sew & under $20! May contain commissioned links. It’s not Woody or Buzz Lightyear taking center stage of the new Walt Disney World Toy Story Land. It’s my main BFF, Slinky Dog. 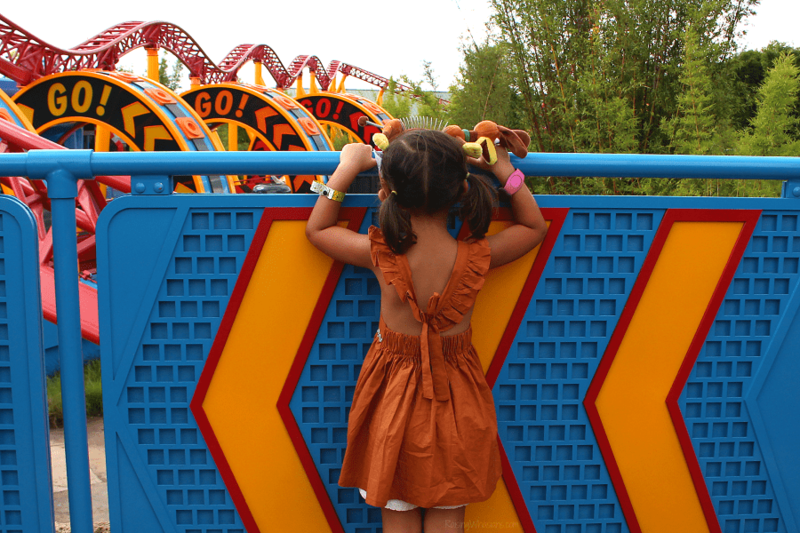 Finally getting the attention he deserves with his very own Slinky Dog Dash Coaster ride, I knew a Slinky Dog dress was in order for our very first visit to Toy Story Land. But when I started to look for the perfect dress for my little girl – I was hitting a bunch of dead ends. It was either pay a ridiculous amount for a custom frock (upwards of $70-$100) or try to make one. And you know me. I’m always up for a crafty challenge. So today I’m sharing how I made this Easy Slinky Dog Dress DIY for under $20 without sewing – the perfect themed dress to wear to Toy Story Land. I love that people kept asking where we got our Slinky Dog dress. It was nice to say “Yeah, I made that!” And if I can make one, you can too! 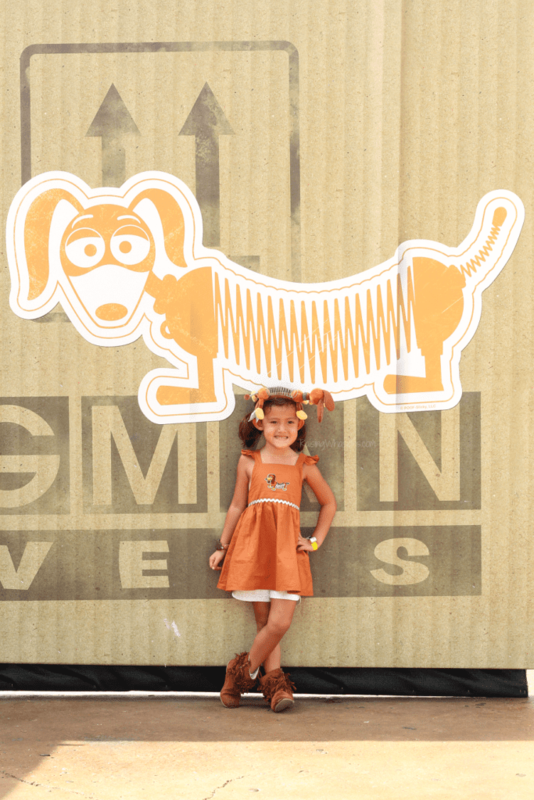 This Easy Slinky Dog Dress DIY will have your girl looking fashionable in the all new Toy Story Land, inspired by the new Slinky Dog Dash ride. It all starts with an easy iron-on Slinky Dog Patch. Under $6 on Amazon, this patch is a must-have for that signature slinky dog look. Finding a brown little girl’s dress was the next challenge. It’s hard to find a cotton dress for a girl that wears a 6 and up – especially one that’s CUTE. I mean c’mon, world. We’re still super cute at age 5! So taking a risk, I got this 4T ruffle dress on Amazon (was under $5 – now under $6). What’s great about this dress is the back. The adjustable bow allows more room for your little girl to fit. Add some shorts underneath if the length is an issue.This short sleeve brown dress would have also made a cute option – just make sure that you have 2-4 weeks to wait on shipping (I wasn’t paying the $26 for expedited shipping. Nope, no way!). And if you have a baby, how cute is this brown onesie? Once you find the dress that you love, iron on your Slinky Dog patch. I recommend middle chest area so your girl can show off her Slinky Dog pride. Now for the crowning Slinky Dog touch. I honestly fell in love with Rick Rack from my grandmother’s old sewing kit. So I looked for that perfect slinky silver rick rack to wrap the dress in. I took some to make a little belt and some to wrap around the dress skirt. So cute, right? Now you can either sew it (if you’re amazingly talented like that) or since I can’t sew, I went for some fabric glue. AND…voila! One super adorable Easy Slinky Dog Dress DIY for so much less than what I was finding on Etsy. Now just grab your Slinky Dog Dash ears to complete this fun look for your girl. Who wants one? 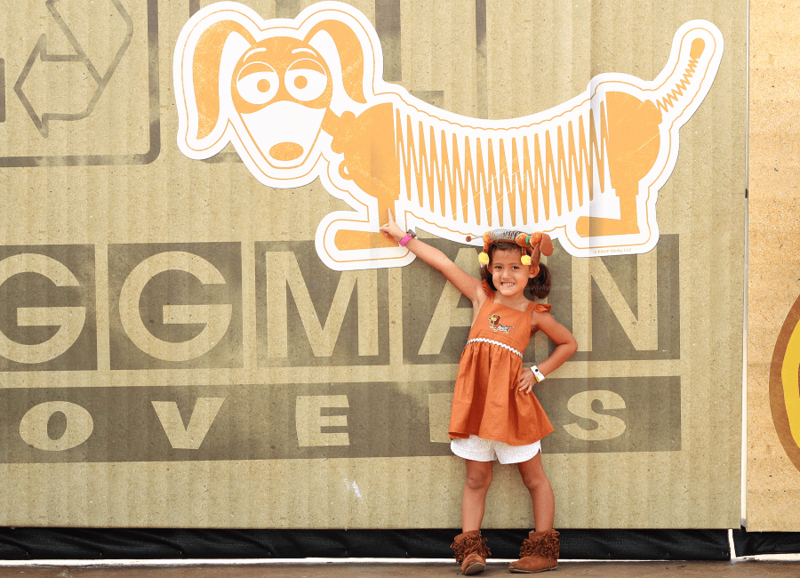 Be sure to take your sweet princess in her new Easy Slinky Dog Dress DIY to Toy Story Land, now open at Disney’s Hollywood Studios. There are plenty of places to show off your girl’s new Disney look! And be sure to check out my friend Jen’s tutorial to make more Toy Story family costumes too. So cute! 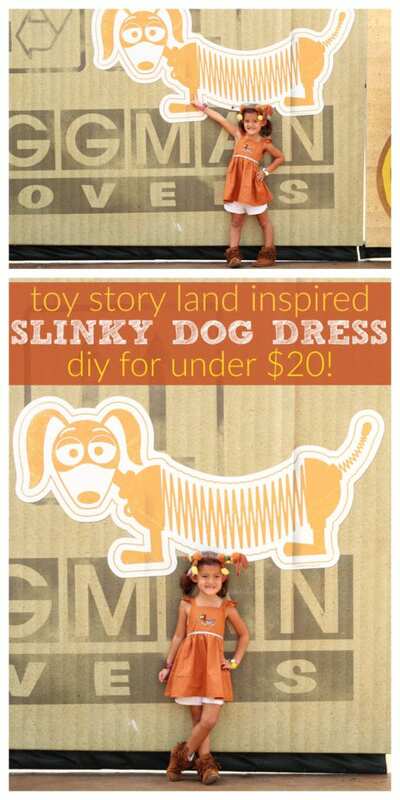 Would you try you hand at this Easy Slinky Dog Dress DIY? 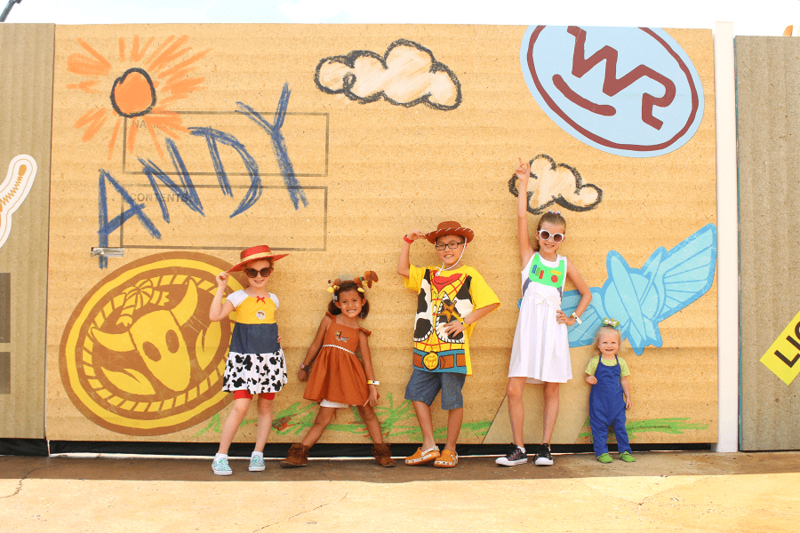 Have you been to Toy Story Land yet? Be sure to follow Raising Whasians via Facebook, Twitter, Google, Instagram, Pinterest and YouTube for more family travel tips, Disney insider info and more. I love this cute and easy no sew slinky dog dress idea! Craft glue and patches are such a great way to make kids clothing extra cute!! I'm Christie, Korean mom to two beloved "whasians." I'm a Florida gal that loves kissing my kids, toes in the sand, traveling the world & any excuse to eat! Email pitches & press trip invites to raisingwhasians@gmail.com More about me..
Get the latest recipes, crafts, travel tips & giveaways sent to your inbox! 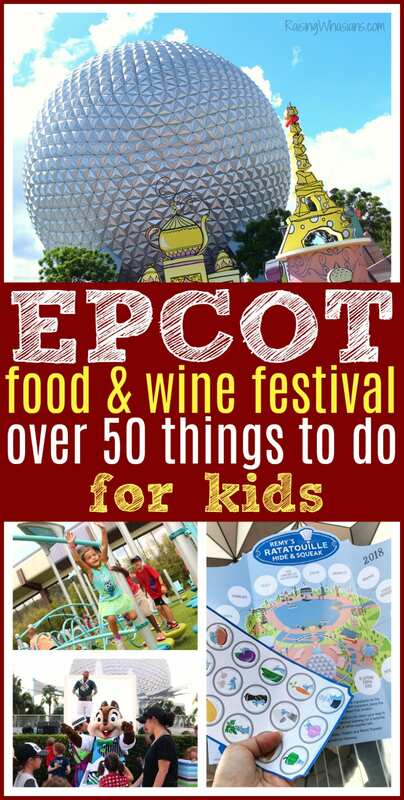 Bonus Florida Prepaid Discount | Save 50% Off LEGOLAND Tickets!